If you are familiar with the basics of automobile insurance, then you may already know more than you think about motorcycle insurance. If you ride a motorcycle on public roadways, you’ll need the same basics as your automobile insurance: liability, collision, comprehensive, and uninsured/underinsured motorist coverage. Motorcycles can be riskier than other vehicles. 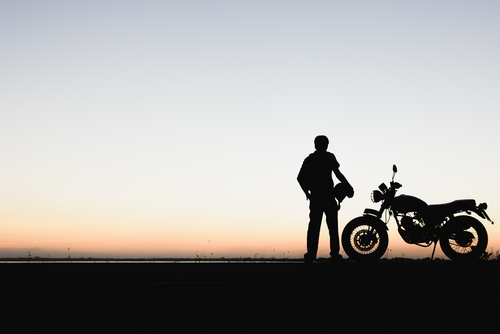 As a result, the cost of motorcycle insurance varies widely, so it pays to shop around. If you are concerned about high cost, you may want to consider some of the factors that affect motorcycle insurance premiums and take advantage of as many reductions as possible. For example, some companies offer discounts if you complete a motorcycle safety course, and for using additional safety and anti-theft equipment. Carrying all your other insurance policies with a single company can also lower the price. Your annual mileage, the bike’s make, model, age, horsepower, and where it is stored can all affect the amount of your premium. As always, maintaining a clean driving record can keep your premiums down. If you like the freedom and lifestyle motorcycle riding offers, don’t forget that the peace of mind that comes with insurance can add enjoyment to the time you spend in the saddle.